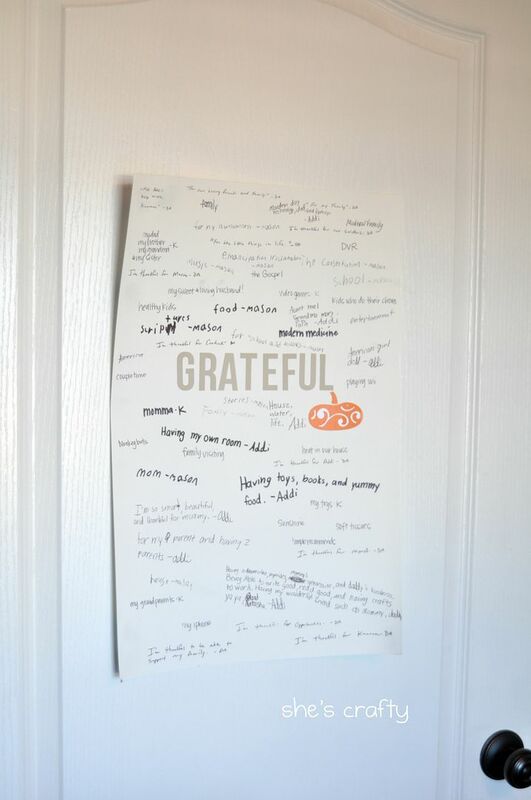 We made this poster last Fall to celebrate all the things our family is grateful for. Everyone still looks at it daily and a few new things get added weekly. But I'm thinking we are a little out of pumpkin season and it's starting to fall down so I decided to make something more permanent. 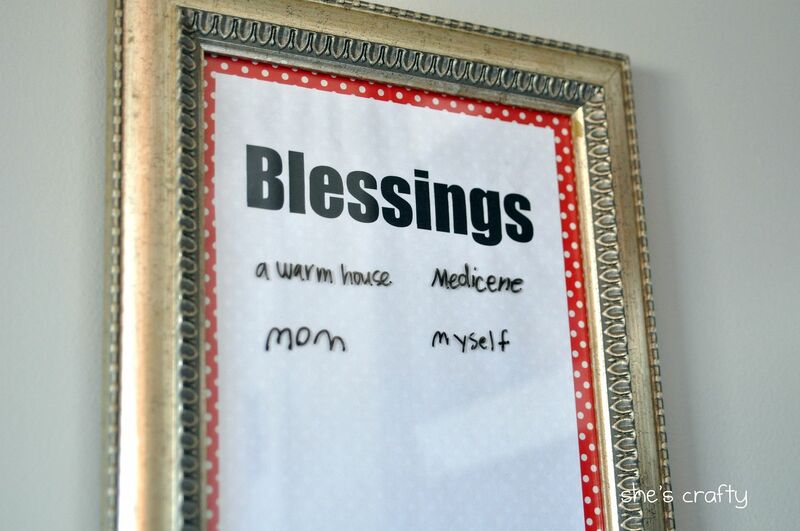 Using a dry erase board concept I came up with this frame for our family to write our blessings on. 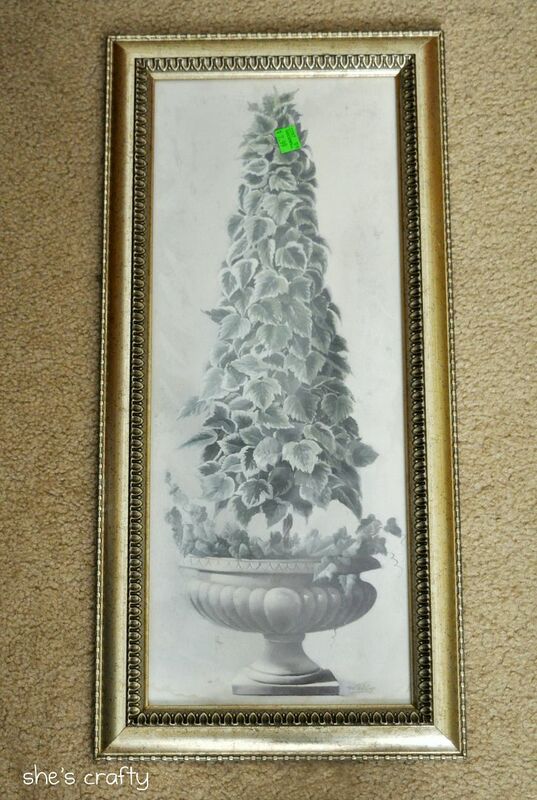 I took apart a frame from Goodwill. I left the frame in the original color. 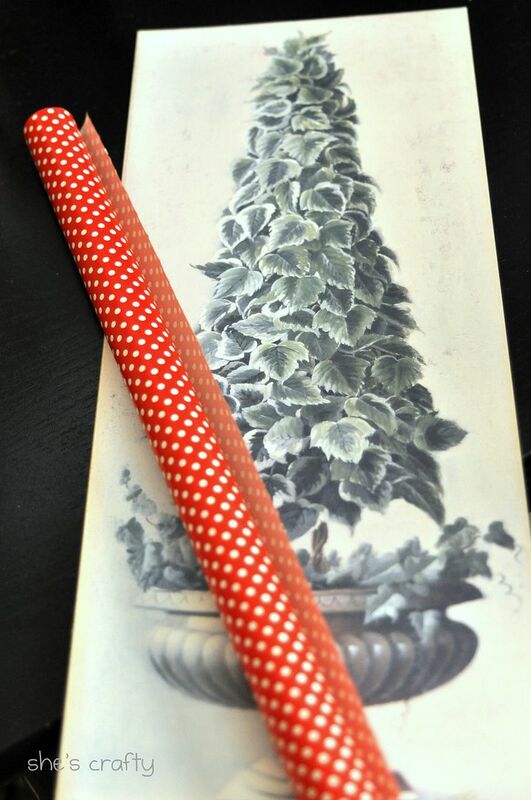 I wrapped the cardboard mounted topiary picture with wrapping paper. 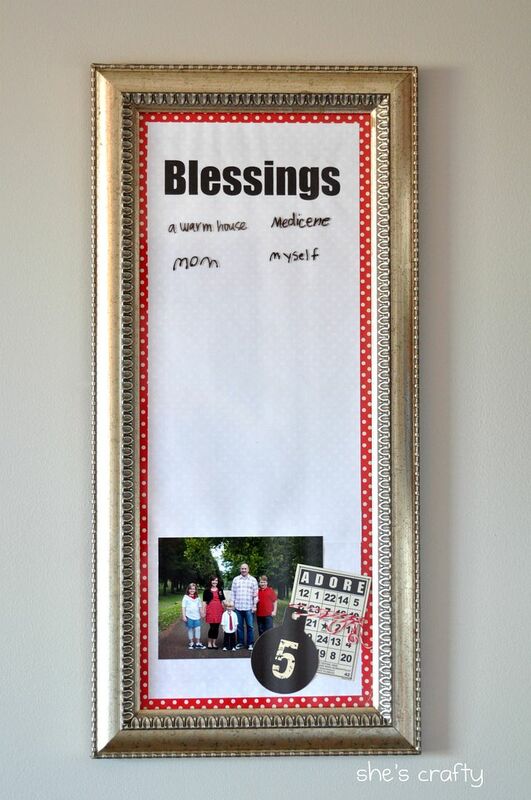 I printed out the word "Blessings" on regular copy paper and attached that to the front before putting everything back into the frame. 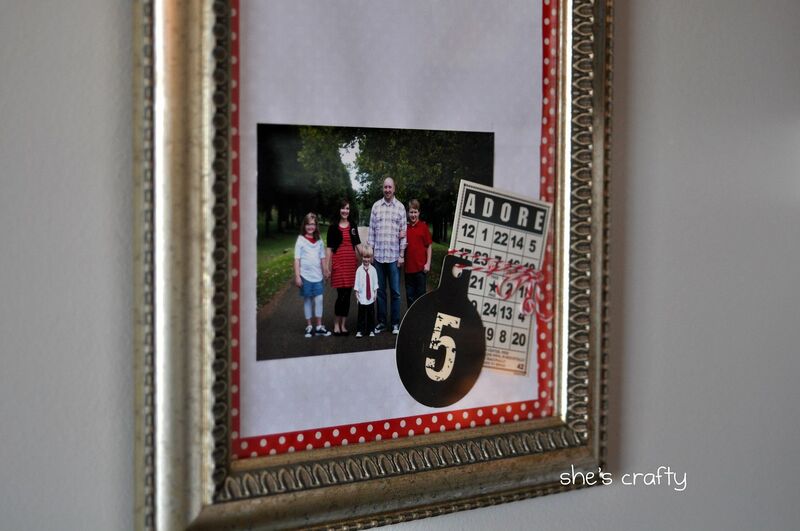 I added a family photo at the bottom and some other little trinkets. 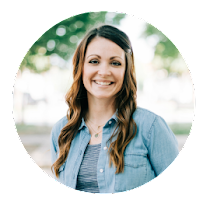 Hopefully as we record our blessings it will help us to remember just how much we do have and what we need to be grateful for! Wow, what a beautiful idea. I made one of the "I love you because..." dry erase frames for my son and I think this one would be great for our family too. Such a good reminder to be thankful for all that we have. I love the special touches you added, like the family photo. Would you consider sharing this here? Very creative. I did something similar with a menu board but I always forget to write on it. 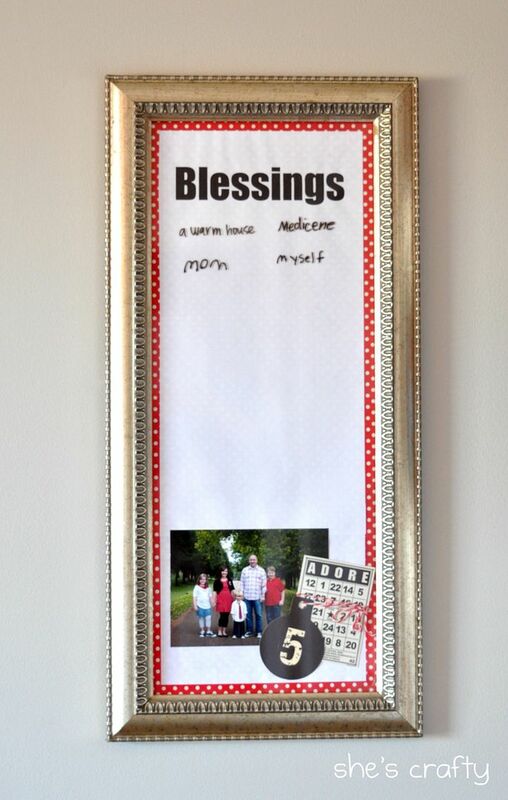 Maybe a blessings board would be a better use of the frame! 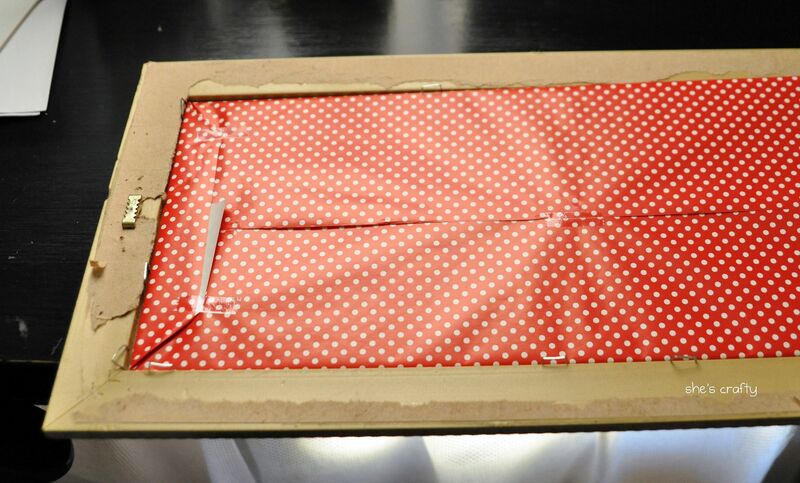 I love that it is permanent and that you used cute wrapping paper for the mat board! Awesome!